Forged for outdoor exploration, the Passport combines athletic design with utility. 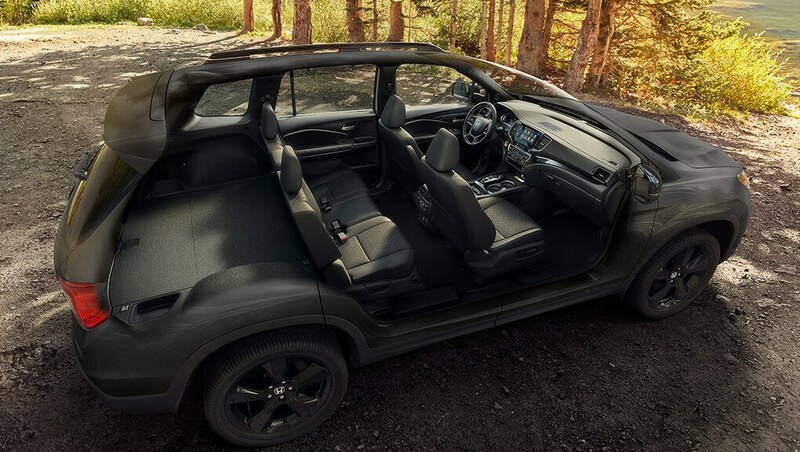 Available gloss-black wheels, roof rails and a wide range of Genuine Honda Accessories help you outfit your Passport for endless journeys. Exploration can be a handful. Roughing it doesn't have to be so rough. 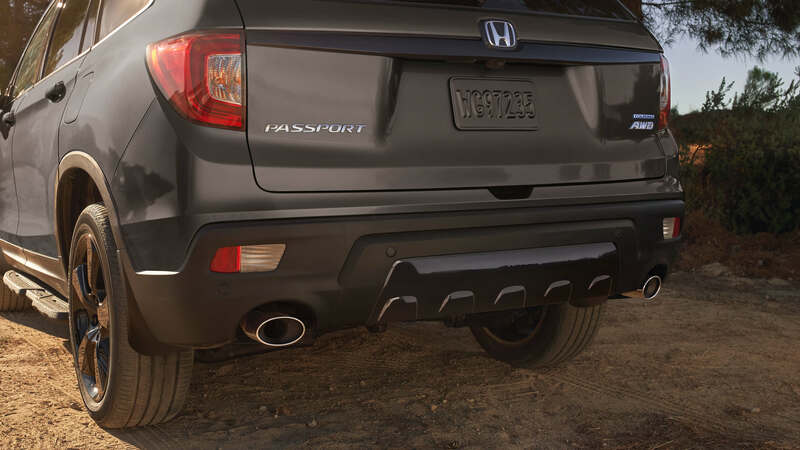 With an available hands-free power tailgate, the 2019 Passport is ready to take on everything you are. The Passport features LED headlights with auto-on/off, so no matter where the road takes you, it'll be well-lit. Mirrors that deserve another look. Can a mirror be forward-thinking? If not, heated power side mirrors and the auto-dimming rearview mirror are the closest thing to it. Better views make better memories. 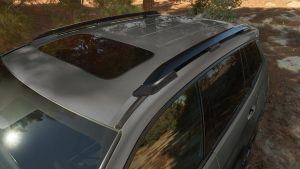 The 2019 Passport features a one-touch power moonroof with tilt feature, bringing fresh air with a fresh perspective. 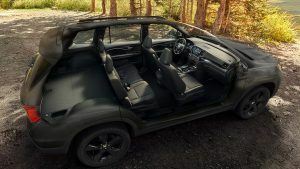 The Passport has plenty of room for adventure, with seating for five, ample cargo space that includes underfloor storage compartments, and a sliding and reclining 60/40 split-folding second-row seat. With heated front seats and a standard heated steering-wheel, you'll be comfortable no matter how Canadian our winters get. The Passport also features available heated second-row seats (outboard positions only) so even your guests are never left out in the cold. Add to that available leather-trimmed seating surfaces, and getting away isn't without its comforts. Feel the wind at your back without leaving your seat. The Passport features available ventilated front seats that will help you keep your cool, no matter what the road brings. 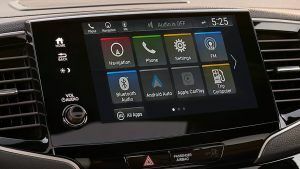 Explore at ease with the Display Audio System with available HondaLink™. Including a bevy of helpful features like Emergency Call, Enhanced Roadside Assistance and more, the Passport helps guide your way in the unexpected. Every explorer needs a compass. 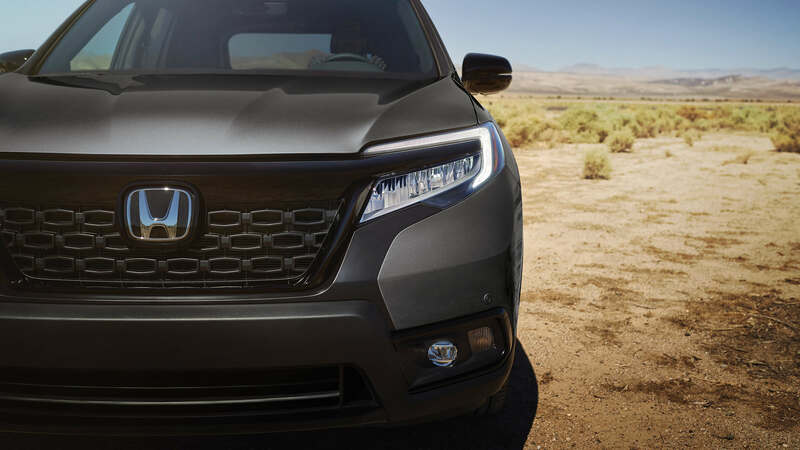 Equipped with a Display Audio System) with the available Honda Satellite-Linked Navigation System™, this Passport helps to ensure you'll always make your way back home. And with the added bilingual voice recognition, you're in control no matter what. Overcome the elements with ease in the 2019 Passport. Its 3.5 litre, i-VTEC V6® engine and i-VTM4™ AWD system help you power through, while its 4-wheel independent suspension and 9-speed automatic transmission offer a remarkably smooth drive. Power, when and where you need it. With 280 horsepower and 262lb-ft of torque, this Passport has more than enough power. And with the AWD system, you'll be able to wield it no matter where the road takes you. A smoother ride, no matter the road. The Passport features a 9-speed automatic transmission with Grade Logic Control, meaning on your search for the next great view, your transmission will never go gear hunting. Over-packers, rejoice. With a sliding and reclining 60/40 split folding second-row seat, the Passport has the space you need for everything you won't. With a name like Passport, you know it's ready for adventure. With an available 2,268 kg of towing capacity, you can leave doubt in the dust. Traction where it matters most. When road conditions change, use the Intelligent Traction Management System to change between Snow, Mud and Sand modes. And AWD is standard on every Passport. A cabin fit for adventure. 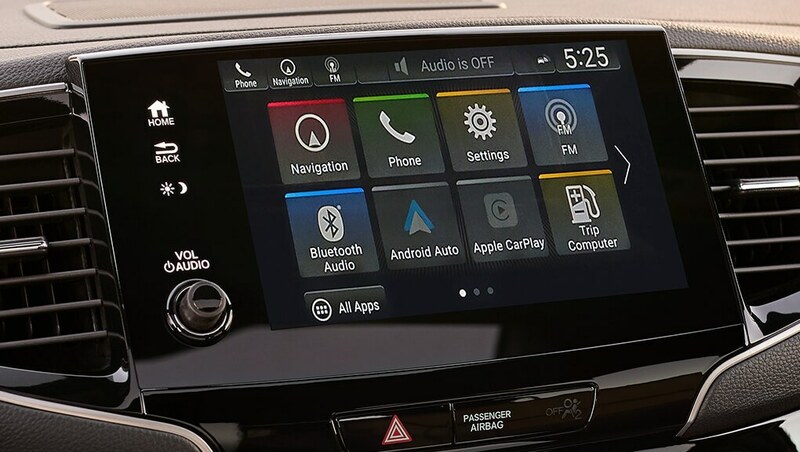 Access your compatible smartphone's music, messages and more with Apple CarPlay™ and Android Auto™ integration. In the Passport, get help seeing what's behind you while exploring the world around you. With the multi-angle rearview camera with dynamic guidelines, you can reverse with added ease. What are you waiting for? 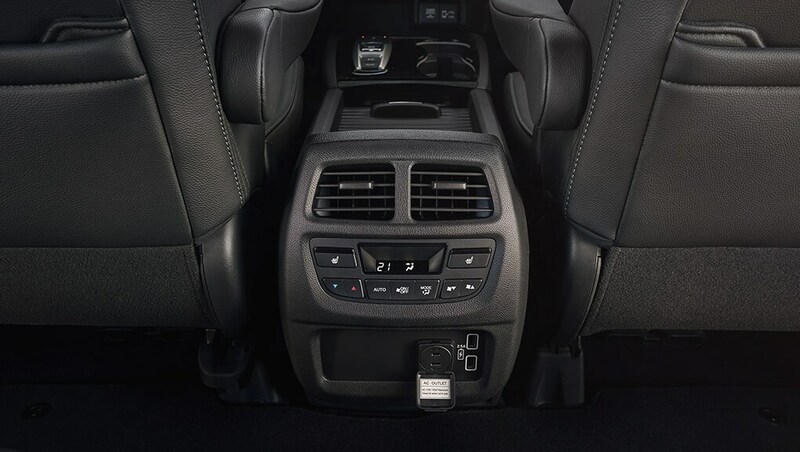 The Passport features a proximity key entry system with a pushbutton start, so even before the bags are packed, your ride is ready. See more of what surrounds you. Be one with your surroundings. The available Blind Spot Information (BSI) system is engineered to use radar-based indicator lights to notify you of vehicles entering either blind spot during lane changes. 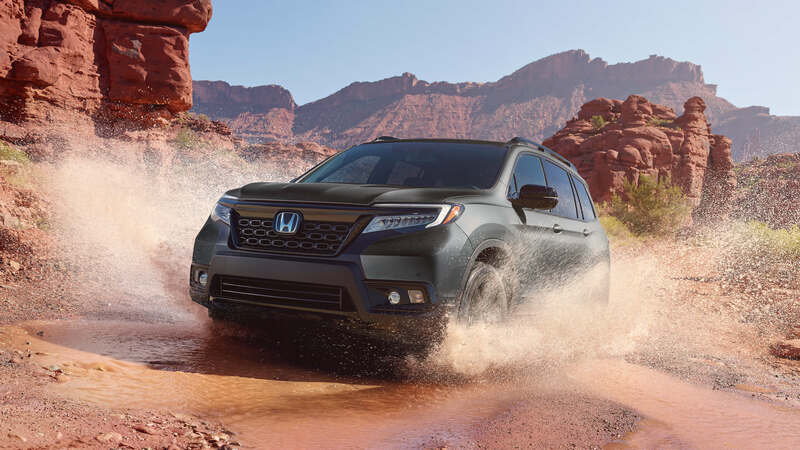 Equipped with a Display Audio System with the available Honda Satellite-Linked Navigation System, this Passport helps ensure you'll always make your way back home. And with the added bilingual voice recognition, you're in control no matter what. Honda Sensing™ technologies are designed to help make your drive safer. With intuitive technology and design, we've created a way forward that we can all feel good about. 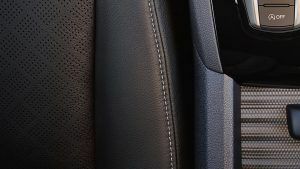 Whether you're driving or sitting in the passenger seat, feel confident in the latest in safety innovation from Honda. Forward Collision Warning (FCW) system. Start your Insight before you even get in. With the available remote engine start, you can start your car before entering to warm it up in the winter or cool it down in the summer. Geofence is a feature allowing users to be notified if their vehicle moves into or leaves a user-designated geographical boundary. Easily helps you pinpoint your car’s exact location from almost anywhere. In the event of an accident, a Response Agent automatically checks-in and helps send emergency care, even when passengers aren’t able to respond. The Stolen Vehicle Locator uses sophisticated technology to assist the authorities with attempting to find your vehicle. Search and send a location from your app to your vehicle’s navigation system.